Vbeam is a pulse dye laser. Pulse dye lasers work by delivering a focused burst of light at a specific wavelength. Different wavelengths can be used to target certain structures within the skin. The V beam laser operates at wavelengths between 585-595nm, which targets the red color of oxygenated hemoglobin in blood vessels. When treated, blood within the skin absorbs the heat of the wavelength, and causes the vessel to collapse. You body will then naturally eliminated the collapsed vessels over time. This allows the Vbeam laser to selectively target the source of redness without causing other damage to the skin. 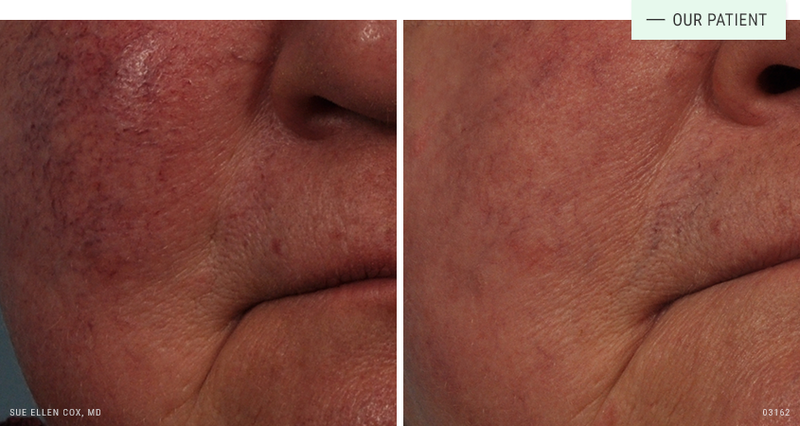 Before | After: Visia imaging shows underlying blood vessels and redness before and after one Vbeam treatment. 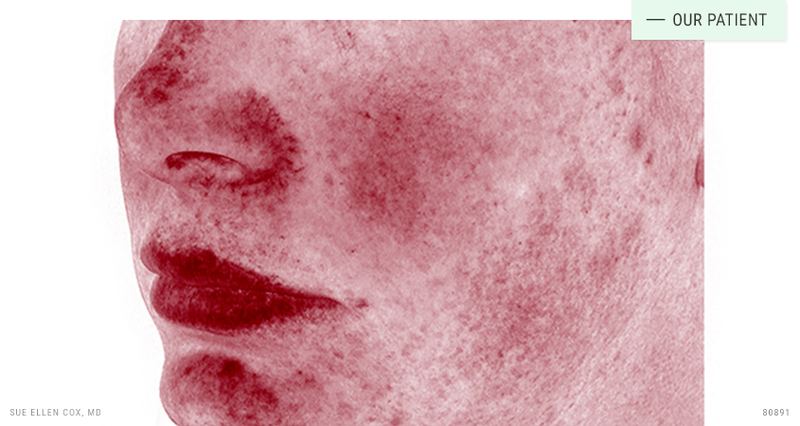 The FDA has cleared the Vbeam laser to safely treat unwanted redness and red vessels. It has an excellent safety profile. Like any medical procedure, there are risks. As a teacher and trainer of other physicians in laser procedures, Dr. Cox stresses the importance of finding an experienced physician who understands the finer points of laser treatment. There is no real downtime associated with Vbeam treatment. Pinkness or redness of the treated areas is typical immediately after treatment. Mild swelling may be present for a few days after treatment, but this quickly resolves completely. Vbeam treatment is often focused on the face, but may be used on most areas of the body, including sensitive areas like the hands, neck and chest. It is possible to treat multiple areas of the skin in a single session, and Vbeam laser can be performed the same day as most other procedures. Vbeam reduces the appearence of acne scars, facial and spider vessels, rosacea, stretch marks, vascular lesions and warts. A series of treatments produces the best results. 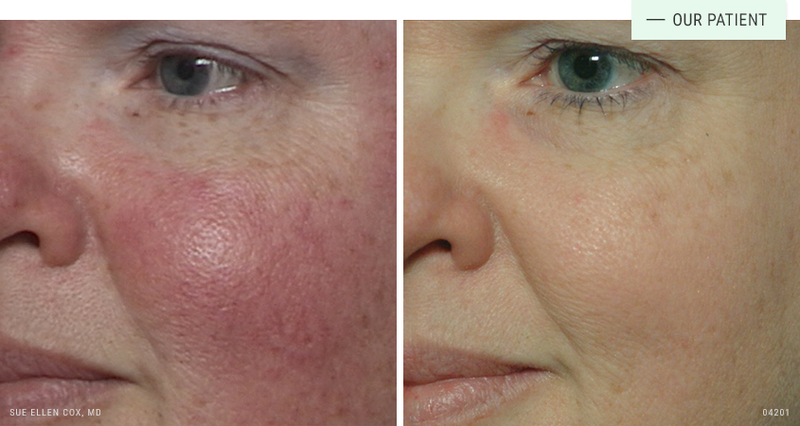 Before | After: This patient was bothered by rosacea and flushing. She was happy with the results a Vbeam treatment series. 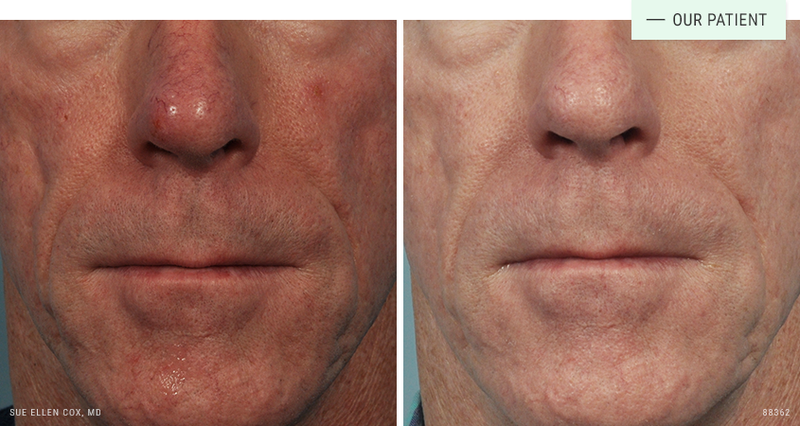 Before | After: Vbeam effectively treats teleangiectasia (visible vessels) as well as background redness. 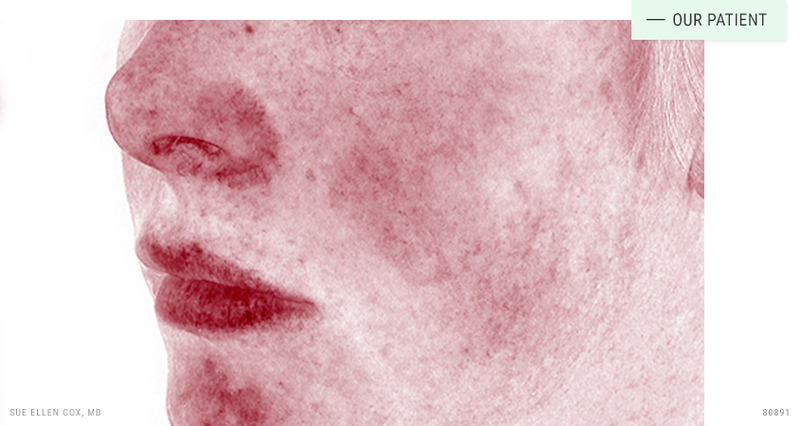 Before | After: This patient was bothered by rosacea and vessels on his nose. He received a series of three Vbeam treatments. Expertise: Dr. Cox has performed thousands of laser procedures over twenty years and performs Vbeam nearly every day.